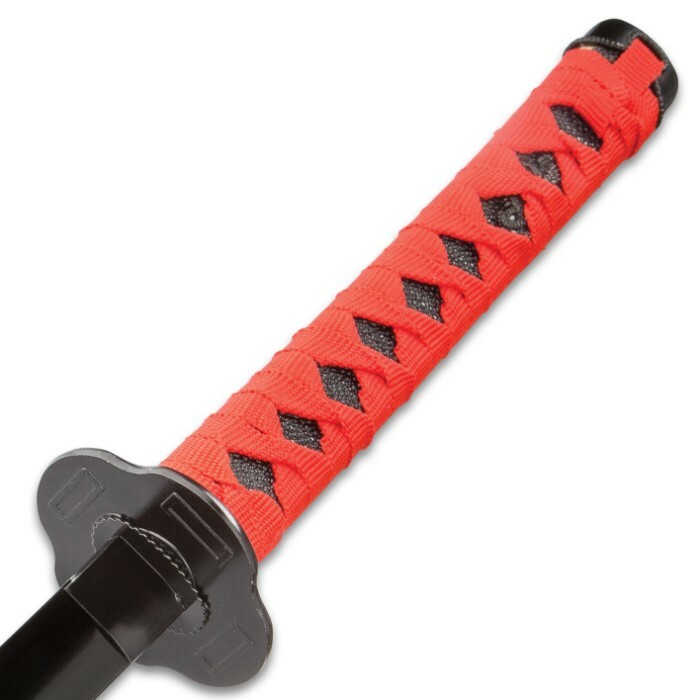 Black And Red Dojo Training Katana - Black Stainless Steel Blade, Red Cord Wrapped Handle, Lacquered Wooden Scabbard - Length 38” | BUDK.com - Knives & Swords At The Lowest Prices! 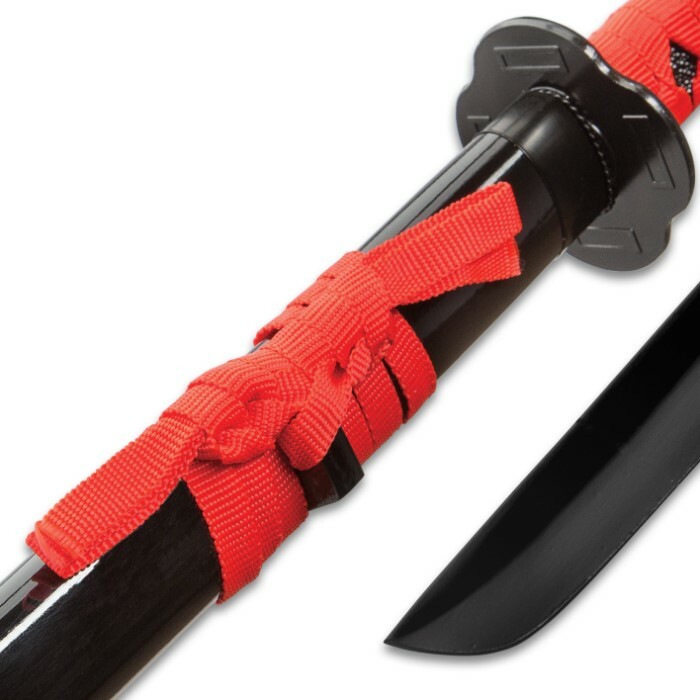 The Black and Red Dojo Training Katana is perfect for giving your students the feel and weight of a katana without the danger of injury. 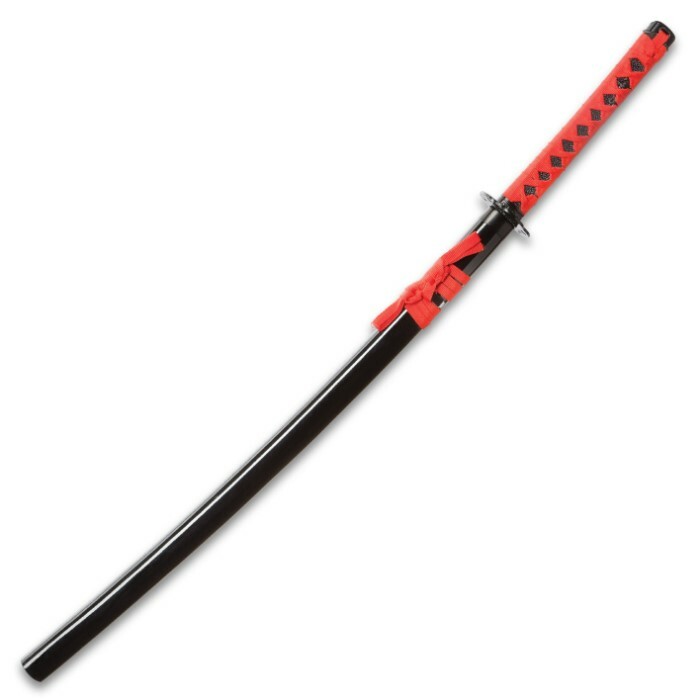 It has a 27 1/4” black painted, stainless steel blade with a training false edge. 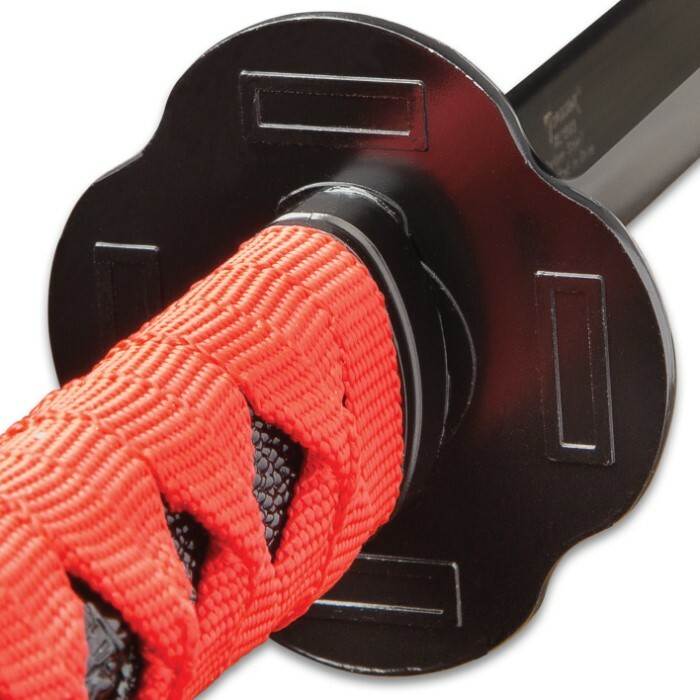 The wooden handle is wrapped in faux rayskin and red cord and the traditional style tsuba is of solid metal alloy. 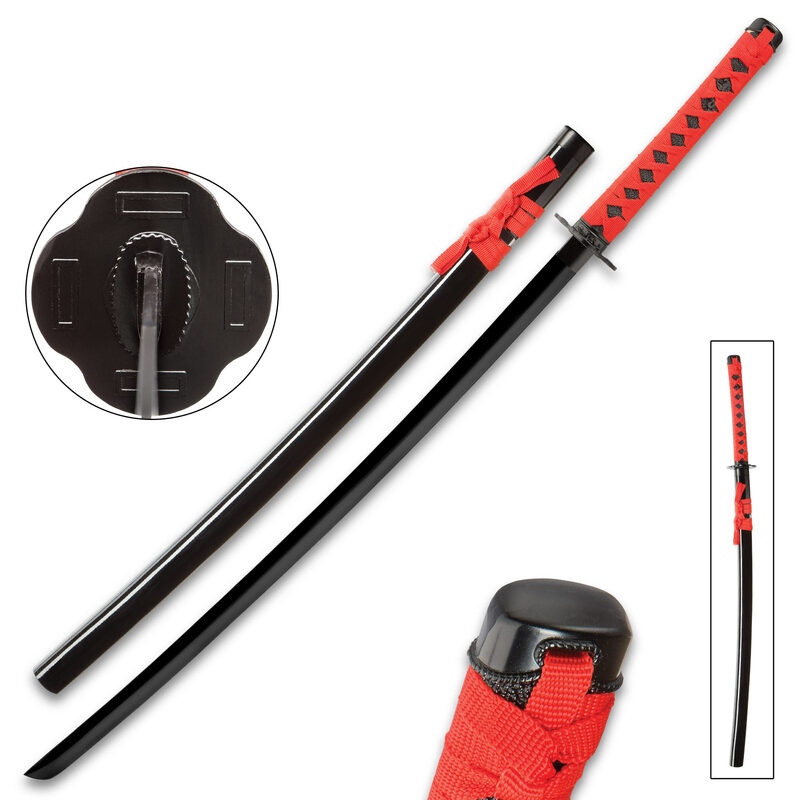 The sword is housed in a black lacquered wooden scabbard with red cord-wrap accents.